Although it’s quite oily, my skin always needs that extra something at this time of year. 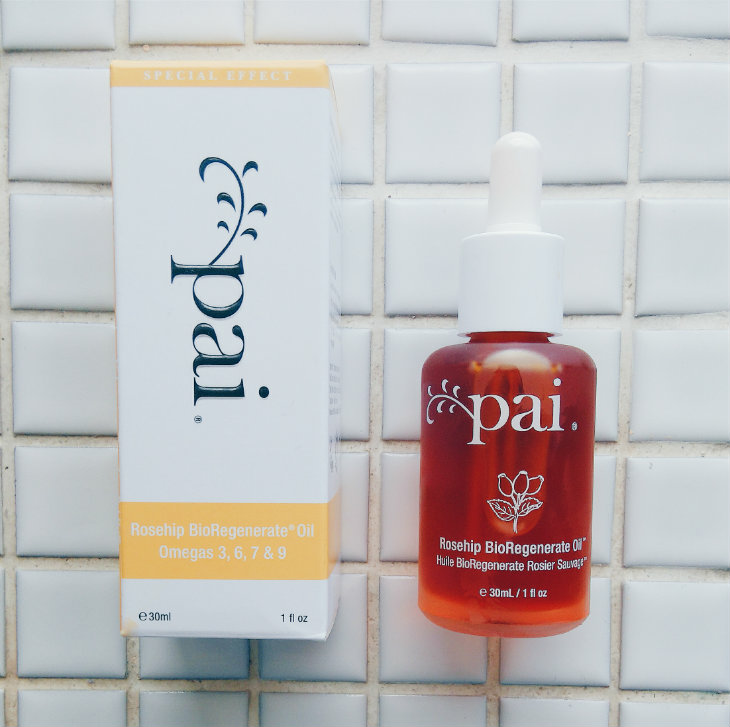 Pai Rosehip BioRegenerate Oil (v) is becoming something of a cult classic. I massage it into my face in the evening, just before I turn out the light, but you can use it on your body, too. Apparently, rosehip oil is excellent for stretchmarks. I haven’t tried this because I like my stretchmarks — they’re on my inner thighs and I think they’re kinda cute. Is that weird? Anyway, back to Pai. I can’t really place the smell of the oil; it’s quite herbal and doesn’t seem like something everyone would like, but it also doesn’t linger. The oil takes a while to sink in, but I don’t mind this so much overnight. My skin feels soft when I wake up and it looks more alive — that extra hit of hydration does wonders for tackling dullness. Oh, and it doesn’t upset my acne, something I was worried about at first. From a little bit of luxury to a handy supermarket buy — Dirty Works Stop Puffy Eyes Perfecting Eye Cream. I picked this up on a whim when I was in Sainsbury’s (it was half price, and I do love a bargain) and it was worth the impulse purchase. I don’t really bother with eye cream a lot of the time, but I’ve been using this every morning and evening without fail. It gives a smooth base for make-up in the morning, and in the evening it’s soothing without being too heavy. It’s fragrance free, too, so there’s no irritation. I can’t say I’ve noticed the promised brightening effect, but I don’t expect miracles from any eye cream I use. I just want a light moisturiser, and this one does its job. What have you been using now the weather’s getting colder? Let me know.